Missouri Education Watchdog: Common Core is Not Just About Standards, it's also about Data Mining. Common Core is Not Just About Standards, it's also about Data Mining. Who knows where your child's data will end up and for what purpose? We've written through the years about Common Core and have been concerned about the data mining allowed to occur now that states use common assessments. The data mining is not just centered on educational information. This educational reform also requires personal information on students and their families. This is to create a managed workforce based on student data gathered from educational facilities and with the expansion of FERPA allowing information to flow freely, this information will be supplied to research firms, contractors and other interested parties. One of the deals that we made with the devil when it comes to accepting Race to the Top dollars is the relinquishing of our children’s information. Gates and others have begun to collect information about our children from New York to LA and it is about to happen in Seattle thanks to the efforts of the Road Map project, et al, falling all over themselves to receive a pittance of educational funding, $40 M to be split between 7 districts in our state. That’s $5.7M if it were to be divided equally. To put that into perspective, West Seattle High School’s budget for this year is a little over $6M and that does not include building upkeep or other building costs including utilities. The money will not go into established programs or to help with our budget crunch which happens to be a $32 M shortfall in Seattle, but is to go to “assessing” students starting in pre-school. Assessments basically mean testing on a long-term basis. This is not sustainable but oh well, there is some pie in the sky reasoning about receiving yet another largesse from Bill Gates, and maybe someday we would be able to continue to pay for everything that we have promised to deliver forever. Per a previous post, A Race to the Top Winner. Really?, the following is the information that people want culled from our students’ “data”. The following is a list of the Road Map Project on-track indicators. These are reported annually against specific targets. The following is a list of the Road Map Project contributing indicators. These are reported annually or whenever possible, but do not have specific targets. These contributing indicators combined with the on-track indicators make up the full list of Road map Project indicators. It's not theory anymore. It will be coming to your school district in the future. Your superintendent may declare he/she doesn't compile this type of data, but you can see this is an important component of common core. Not only do we need to compare student test scores, we need to compare their birthweight, if their parents read to them, their level of motivation, etc. (Reuters) - An education technology conference this week in Austin, Texas, will clang with bells and whistles as startups eagerly show off their latest wares. But the most influential new product may be the least flashy: a $100 million database built to chart the academic paths of public school students from kindergarten through high school. In operation just three months, the database already holds files on millions of children identified by name, address and sometimes social security number. Learning disabilities are documented, test scores recorded, attendance noted. In some cases, the database tracks student hobbies, career goals, attitudes toward school - even homework completion. Local education officials retain legal control over their students' information. But federal law allows them to share files in their portion of the database with private companies selling educational products and services. "This is going to be a huge win for us," said Jeffrey Olen, a product manager at CompassLearning, which sells education software. CompassLearning will join two dozen technology companies at this week's SXSWedu conference in demonstrating how they might mine the database to create custom products - educational games for students, lesson plans for teachers, progress reports for principals. The database is a joint project of the Bill & Melinda Gates Foundation, which provided most of the funding, the Carnegie Corporation of New York and school officials from several states. Amplify Education, a division of Rupert Murdoch's News Corp, built the infrastructure over the past 18 months. When it was ready, the Gates Foundation turned the database over to a newly created nonprofit, inBloom Inc, which will run it. 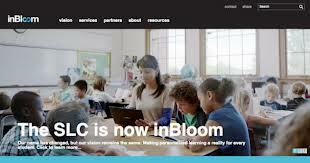 States and school districts can choose whether they want to input their student records into the system; the service is free for now, though inBloom officials say they will likely start to charge fees in 2015. So far, seven states - Colorado, Delaware, Georgia, Illinois, Kentucky, North Carolina, and Massachusetts - have committed to enter data from select school districts. Louisiana and New York will be entering nearly all student records statewide. "We look at personalized learning as the next big leap forward in education," said Brandon Williams, a director at the Illinois State Board of Education. One should shudder to read the statement from Mr. Williams from the IL State Board of Education. Remember the Illinois Data Set that has been waiting to be rolled out with data sets pertaining to student blood test results, eye color, voting status? Here's the plan to keep students on the right track: a national based GPS system for your student so he/she will never get lost along life's way. How do you feel about multiple agencies and private organizations tracking your child's every move and data points? If you believe your child is a piece of inventory and human capital, this a suitable and desirable tracking mechanism. Wow, I don't even have children and I find this scary. I work in higher education and can see the implementations here as well. Data can be helpful but this is extremely invasive. It can lead to privacy, discrimination, identity theft, and even safety concerns. This measure goes too far. Common Core. A Rigorous or a Worksheet Education? Common Core Math Taught to an 8 Year Old.